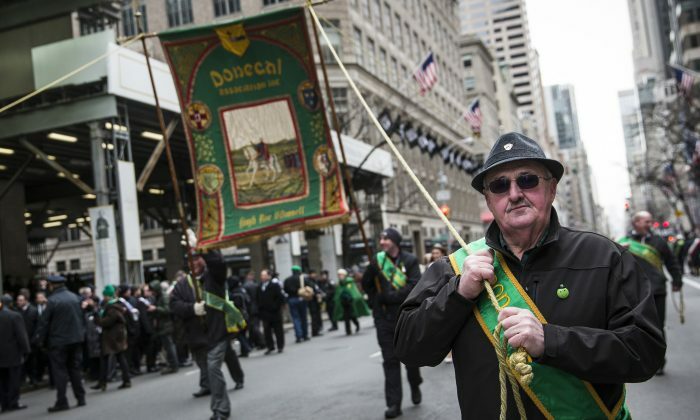 The Irish Arts Center in New York City is giving out 10,000 free books by Irish authors on St. Patrick’s Day. Their annual Book Day was inspired by a similar event run by Solas Nua in Washington D. C. since 2006. The center, established in 1972, promotes Irish arts and culture, as well as Irish-American culture to the 21st century audience. They host a variety of programs including the performing arts, visual arts, and education programs. This is the fourth year that the center is distributing thousands of books to commuters and school children. For a list of authors, see below. For those interested in picking up a book, stop by at any of the following 9 transit hubs this Monday, March 17. Authors: Heather Barbieri, Kevin Barry, Maeve Binchy, Jimmy Breslin, Anne-Marie Casey, Frank Delaney, Emma Donoghue, Christine Dwyer Hickey, Anne Enright, Lyndsay Faye, Michèle Forbes, Terry Golway, Pete Hamill, Seamus Heaney, Maeve Higgins, Aidan Higgins, Desmond Hogan, Kevin Holohan, Morgan Llywelyn, Martha Long, Brian Lynch, Alf Mac Lochlainn, Anne McCabe, Colum McCann, James McCourt, Belinda McKeon, Maura Mulligan, Dorothy Nelson, Edna O’Brien, Flann O’Brien, Joseph O’Connor, Rebecca O’Connor, John O’Donohue, Liam O’Flaherty, Patrick O’Keefe, Joseph O’Neill, Leanne O’Sullivan, Peter Quinn, Patrick Taylor, Mario Vargas, Llosa, Stuart Woods, and more. For book donation and sponsorship opportunities promoting this day of literacy and Irish culture, contact Rachael Gilkey at rachael@irishartscenter.org.